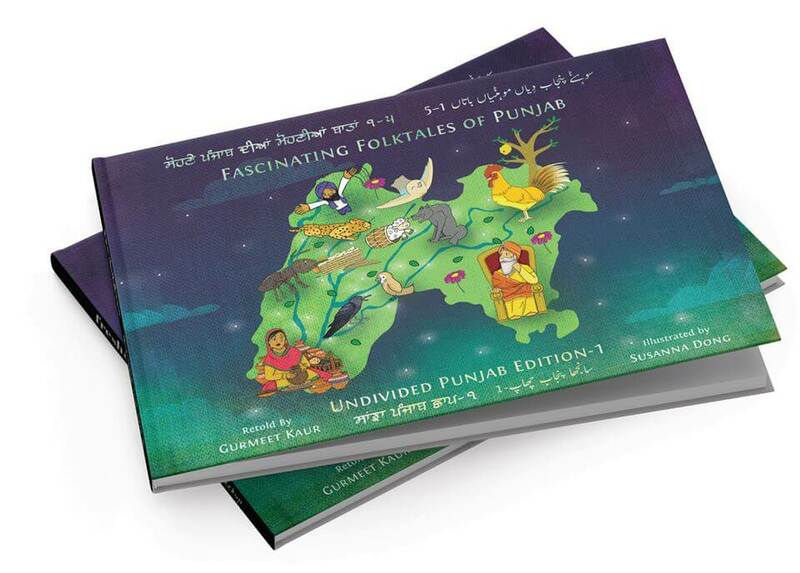 Fascinating Folktales of Punjab has been serving the need to place high quality Punjabi literature in the hands of children of the Diaspora since 2013. 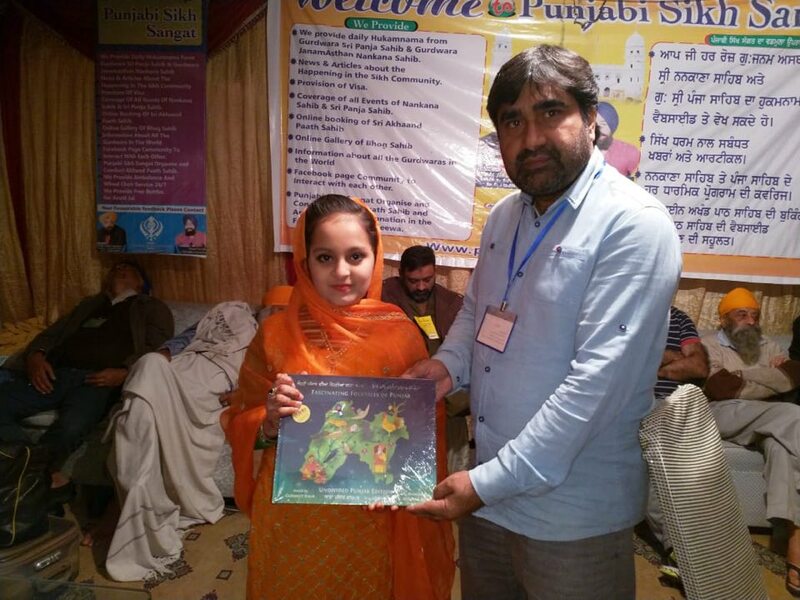 More than 5000 children have fallen in love with Punjabi literacy via these books. But the fact remains that we are losing the love of Punjabi in our own homeland. My recent work in Punjab showed that this project is much needed in Punjab, as the language is slowly dying in its place of origin. There is a need to carry the success of Punjabi literacy via Fascinating Folktales of Punjab to our homeland. But not just East Punjab, but also, the West Punjab, where Punjabi is dying at even a faster rate. 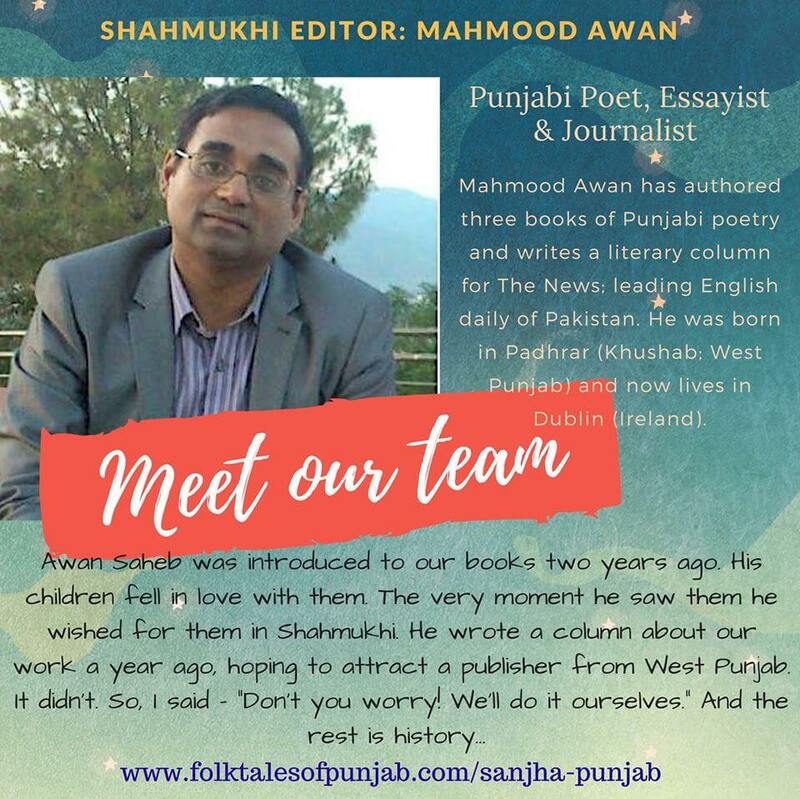 Recent coverage of my work in ‘The Sunday News’ of Pakistan nationwide, (attached) and the response from the western Punjab made me solidify the idea of the ‘Sanjha Punjab Edition’ of the Fascinating Folktales of Punjab in both the scripts, used in East and West Punjab, Gurmukhi and Shahmukhi. This edition will combine first 5 books into one fullcolor illustrated, hardcover book 8.5” by 11”, 100 pages in size with Gurmukhi, Shahmukhi, and English on each page. Wish you a very happy 2019. Our team has been busy not only taking the Fascinating Folktales to the schools of Punjab that you can see the testemonies of on our Youtube channel and Facebook Page but also - on another important mission that we need your support on. 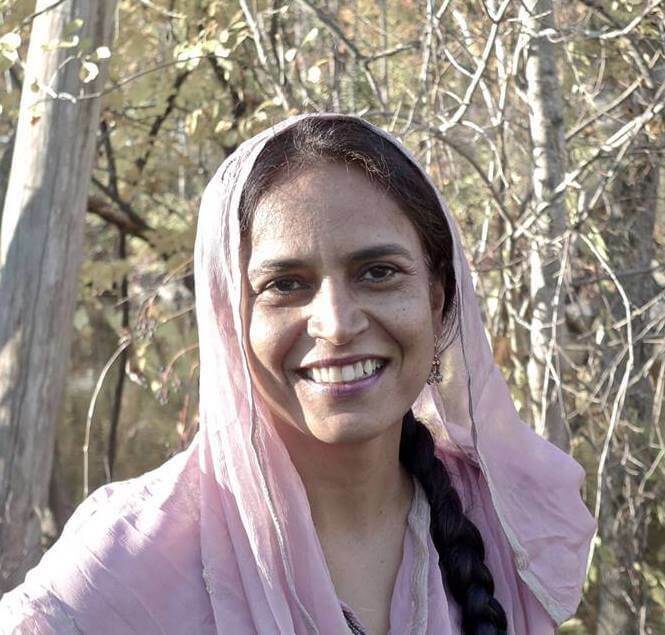 I was in Kartapur Sahib, West Punjab (the last earthly abode of Baba Nanak) in Feb. 2018 and felt a deep connection to the sacred space because unlike East Punjab the Gurdwara Sahib complex and the fields of Baba Nanak still made you travel back in time and connect to the time and space of Guru Sahib. With Kartarpur Corridor opening news, I got a bit worried when I saw the overly commercialized plans for the village. Long story short, after knocking on several doors to take the preservation of the sacred place - I decided to do something about it. I cannot in my lifetime bear to see this important place become a city of marbleized structures in the name of religous tourism that has spoiled the serenity of Darbar Sahib, Amritsar and Nankana Sahib. I have written to a Letter to Prime Minister Imran Khan. Please read my letter here, draft your own and send along. All the details on addresses etc. are provided. I have also set up a Facebook Page - ਥਾਨ ਸੁਹਾਵਾ - Kartarpur - The Abode Blissful and stared on Online Petition. Please be a part of this noble cause. Spare a few minutes - read about our ask, connect with us, spread the word, write letters, sign and forward the petiton. I appreciate you being there for this cause for the sake of our heritage and our future generations. Thank You, for supporting our projects. We celebrated Gurpurab in Nankana Sahib by gifting books to children from Peshawar, Sindh, Baluchistan, Lahore and ofcourse the ones that live right there at the Janam Asthan. In East Punjab, we continue to reach out to government schools in the remotest areas without access to good Punjabi literature for children. 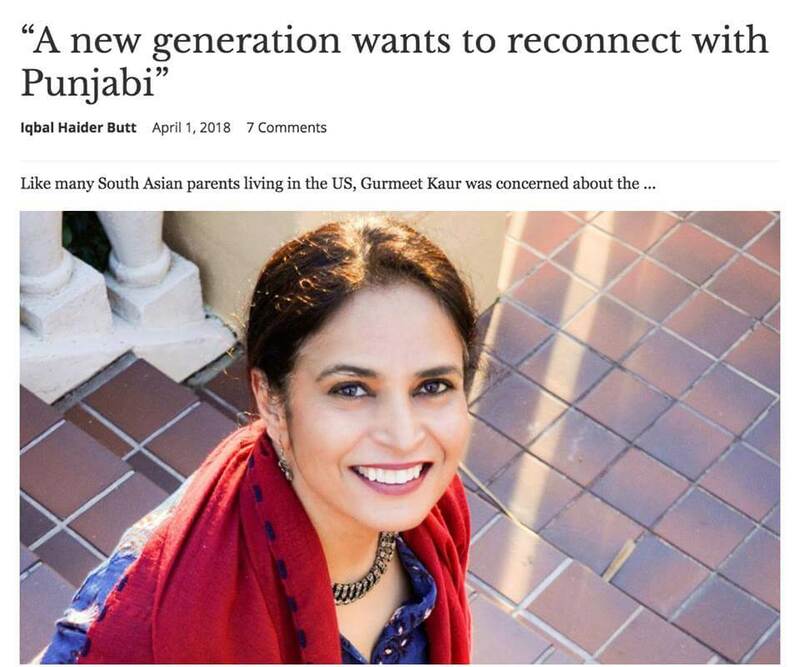 With our Sanjha Punjab Edition, we hope to revive a lost dream in the children of Punjab — of the love of Undivided Punjab and its beautiful Mother Language Punjabi..and to instill in them that Punjabiyat transcends religious, class, geographical and dialectical boundaries. Please see more pictures from the field and meet some of the children from both sides of the fence here. It will bring a smile on your face. Click Here. Happy commencement of the 550th year. In February of 2018, I took another leap of faith, because I knew you were there for me. 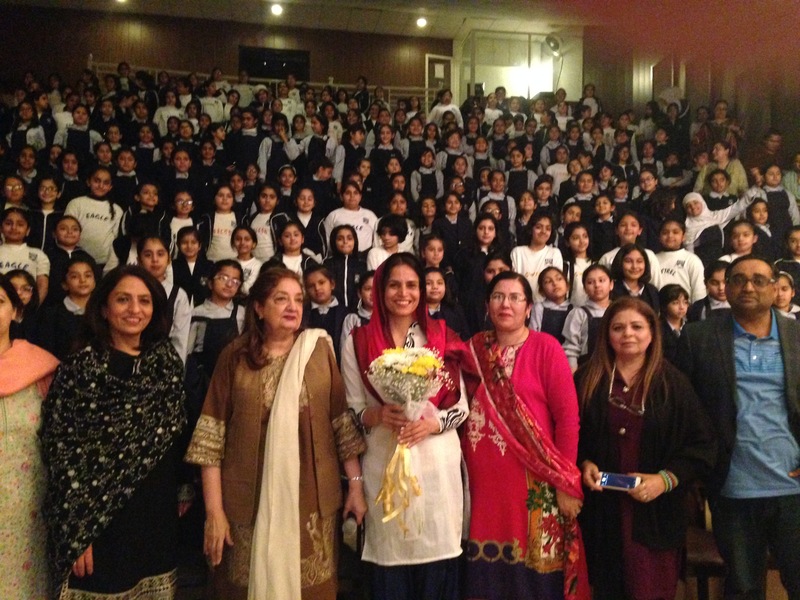 You enabled me to dream of extending the Fascinating Folktales of Punjab project to our home land – where Punjabi is dying at a fast rate, where children’s right to their mother language is being taken away from them in the name of modern education — to Punjab, but NOT just East Punjab, also to the West Punjab. The books were received well. With your help we reached out to thousands of children. But we are not stopping. We aim to reach thousands more. Read what we intend to do in 2019. Thank You, so much for being there for this project and enabling me to continue with this seva for the sixth straight year. To many more years of serving Maboli Punjabi with your support. In November of 2017, I took another leap of faith, because I knew you were there for me. 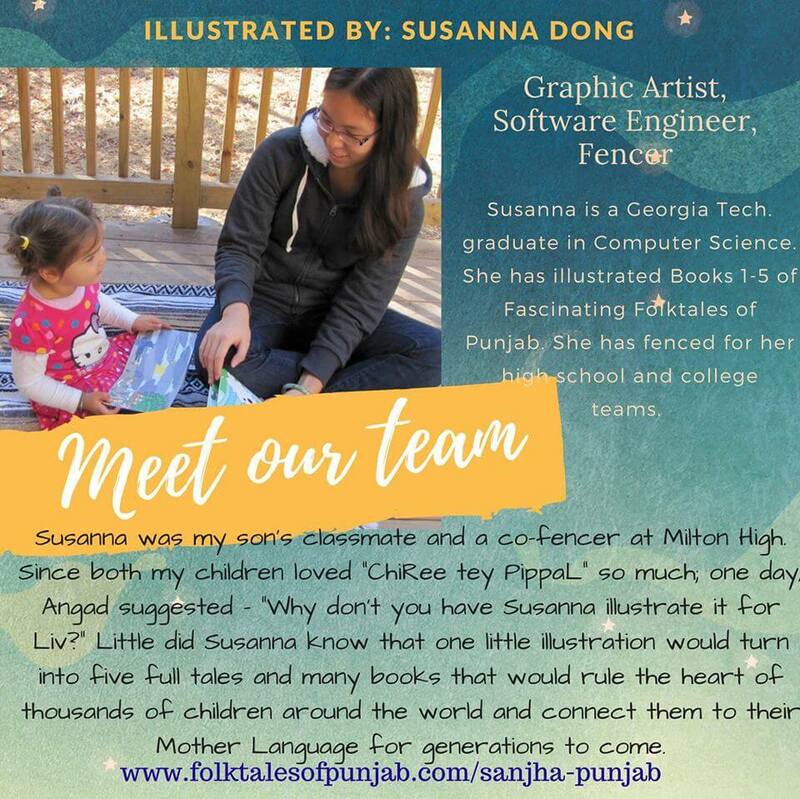 You enabled me to dream of extending the Fascinating Folktales of Punjab project to our home land - where Punjabi is dying at a fast rate, where children's right to their mother language is being taken away from them in the name of modern education -- to Punjab, but NOT just East Punjab, also to the West Punjab. It is probably for the first time that someone has attempted to create children's literature with such beauty in both the scripts of Punjabi language - Gurmukhi & Shahmukhi, along with English translations. The books are currently being printed and will be available to distribute in Punjab in February and worldwide in March. If you contributed to this project and qualify for adoption of books, please email at us folktalesofpunjab@gmail.com to let us know where you would like to send your adopted books to. Please send the name of the organization/person, complete address, and a contact phone number and/or email address. Your books will make it to their new homes in time for Vaisakhi. Also, you will be very pleased to hear that I have been invited to launch the book in Lahore, by LUMS (Lahore University of Management Sciences) at their first Punjabi Literature Conference in February. I am very excited for this launch which includes readings at several private and public schools in Lahore. I will also participate in Lyallpur Punjabi Literary Festival at Faislabad, birth place of revolutionary leader of Indian Independence, Bhagat Singh. While in West Punjab, I will be reading and donating books to children in Nankana Sahib and Kartarpur Sahib. I will be sure to send pictures to our Facebook page. Please keep in touch by liking it here. 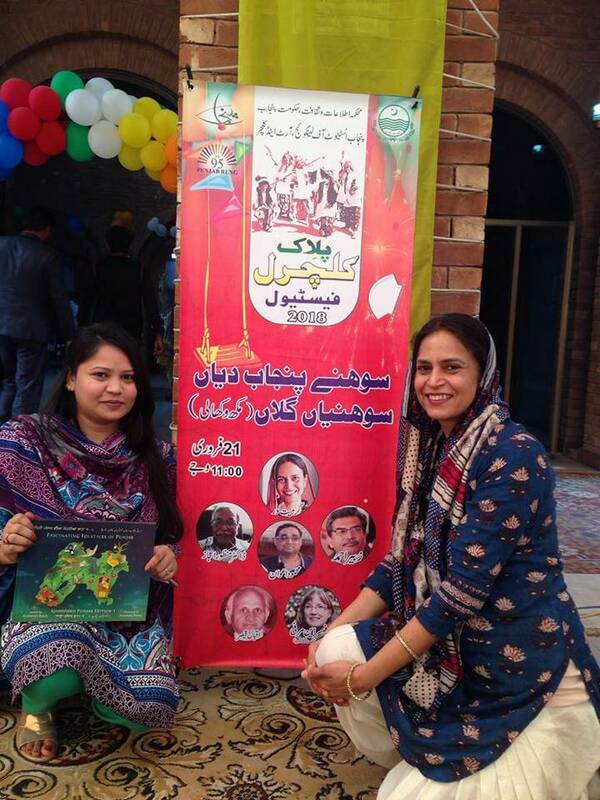 Donate $10/month for a year and adopt 10 books for your village/school/family in Punjab. We will ship it to East or West Punjab for free. Adopt 10 books to be mailed to Punjab or 5 books mailed worldwide outside Punjab. Adopt 20 books to be mailed to Punjab or 10 books mailed worldwide outside Punjab and one Story Telling session via SKYPE. Adopt 40 books to be mailed to Punjab or 20 books mailed worldwide outside Punjab and one Story Telling session via SKYPE. 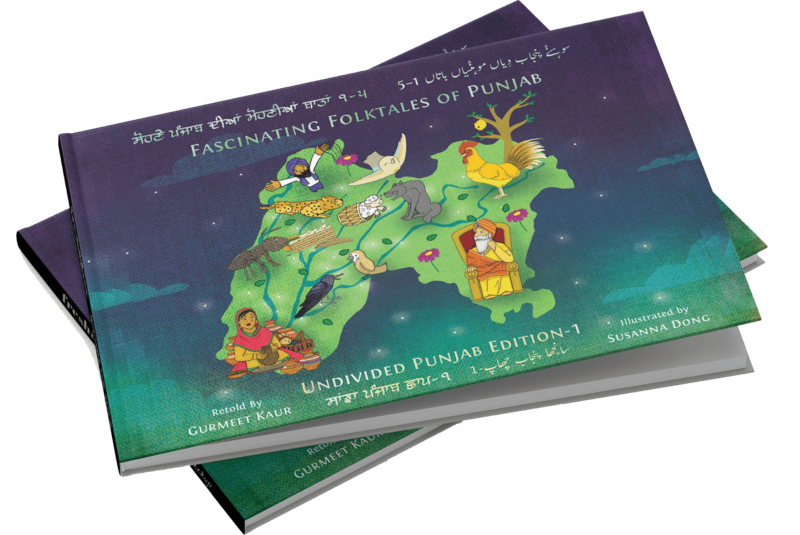 Please consider making a donation to help Fascinating Folktales - Undivided Punjab reach its goal. 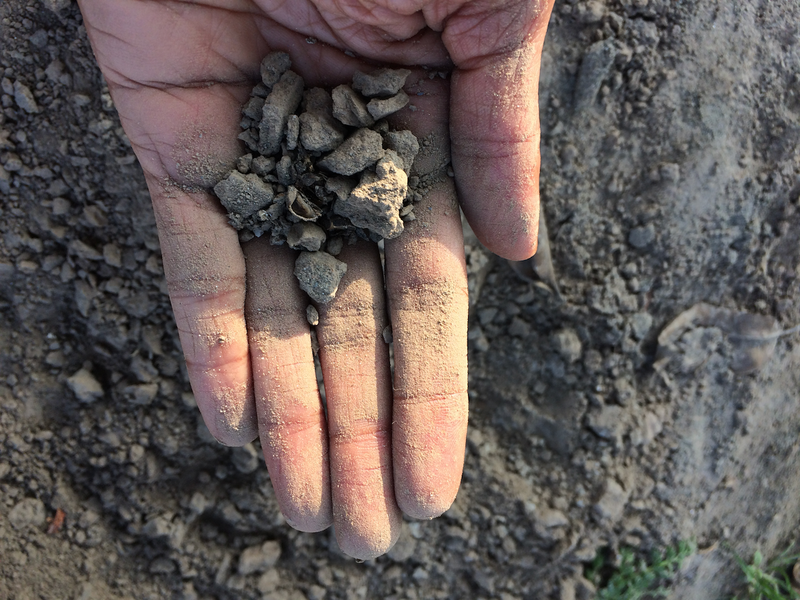 A donation of any amount goes a long way to support the work being done. Thank you for empowering and fueling the work of the Sikh sangat!